Enter The School Of Rock With This Bass! 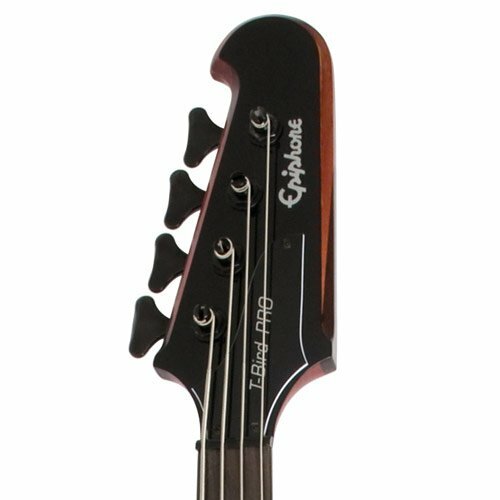 If you are looking for a specific, DARK, low, booming, mean sound, the Epiphone Thunderbird-IV Electric Bass Guitar is for you. It is a different kind of guitar, with excellent ‘warm’ and ‘moderate’ tones. When we first saw this model, we thought it was a premium high-end bass, which is specially designed for a particular genre. However, this isn’t the case. It is a terrific bass for all tones and styles. The only difference is it has a very dark sound, which is impossible to find in other models. For example, most guitars don’t sound great in drop tuning. They lose their versatility and depth in their tone. However, this isn’t the case with the Thunderbird-IV! That is why we had to do an Epiphone Thunderbird IV assessment. It doesn’t rattle in drop tunings. It sounds excellent in all the drop tunings. If you are in the Death Metal or Gothic Metal genre, you will admire this feature a lot more than other players. If you are new and want to understand more about this feature, listen to some songs of ‘Within Temptation,’ ‘Paradise Lost,’ ‘Cradle of Filth,’ ‘Lacuna Coil’, and ‘Epica.’ All these bands are terrific when it comes to igniting emotions through dark sound and drop tuning. The Epiphone Company is known for developing quality instruments. This American musical instrument company was founded by Anastasios Stathopoulos. Since the 1930s, it has battled for supremacy in the guitar industry by challenging other prominent brands on a grand scale. Even the Beatles used this company’s products on their hits like ‘Ticket to Ride’ or ‘Drive My Car.’ Many other famous artists endorse this brand, such as Gary Clark Jr., Zakk Wylde, and Joe Bonamassa. They all are proud owners of Epiphone products. Therefore, if you are opting for an Epiphone guitar, it means you have made a secure investment. From the build quality to sound quality, it will impress you and enhance your playing experience. 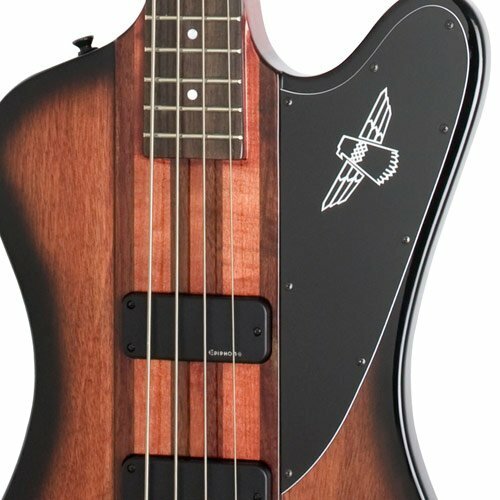 As you just heard in the video, the Epiphone Thunderbird-IV Electric Bass Guitar produces an exceptionally dark, low, booming sound. Its pickups provide appropriate growl adding more definition in the tone and making it more gripping. These features make it downright awesome. When Epiphone acquired this product, the professionals in the music industry were concerned that this guitar would diminish in its traditional, unique touch. It had great variations when it came to Heavy Metal and Gothic genre. They didn’t want significant changes in the qualities of this guitar. Therefore, everyone eagerly waited for it to hit the stores. Moreover, Thunderbird-IV indeed didn’t disappoint any of them at all. It banished their concerns, utterly thrilling them. It kept the feel of the legendary Thunderbird bass and introduced new twists to old features too. That’s why it was quickly embraced by the famous rock and rollers of the world. Today, it is still the ultimate machine for serious rockers! 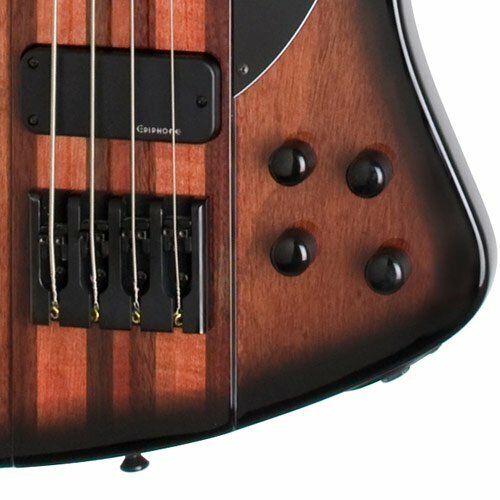 Now, allow us to reveal some of its specific features in detail and show you what new twists you can expect from the Epiphone Thunderbird-IV Electric Bass Guitar. The structure is almost identical to the classic Thunderbird. It appears that the Epiphone manufacturers counted on the long-term success of its previous version. For that reason, they did not introduce any new changes in the structure of it. It has a 34-inch scale neck and 20 medium jumbo frets. Besides, it is constructed with a standard maple design and a rosewood fretboard. This feature facilitates this guitar in producing precise, articulate tones, which are bright and loud. Furthermore, the rosewood fretboard simultaneously warms and softens the sound. The different tonal characteristics of both maple neck and rosewood fretboard make this electric bass guitar suitable for all genres. It is worth noting that there is only one inlay on the 12th fret, which supports excellent sound production. Furthermore, 1.73 inch nut width is perfect for the spacing of strings. Epiphone is known for delivering only high-quality equipment for its electric guitars, and they have accomplished that in the Thunderbird-IV. However, they did little to revise the traditional touch. There are only a few simple changes which work great. It features a three-point fully adjustable bridge. You can adjust the intonation setting quite comfortably by relieving the tension on the strings. However, please keep in mind that the bridges are smaller and less imposing compared to fixed bridges. Also, the master knob utilizes full-scale 500K O potentiometers. Controlling the volume is a breeze with this instrument. From master tone to bridge volume and neck volume, everything is in your grasp. The most attractive feature is that all the hardware is painted black with red details on factory strings. This gives this model an utterly innovative and thrilling appearance. We have already revealed a lot about its sound quality and specialty. However, there are still a few more details that demand our consideration. For example, you can sustain the punchy tone of your bass while making it growl. This is precisely what you need in a rock bass. If Joe Satriani, Tom Morello, and Joe Perry are your idols, you can count on this guitar. You’ll love the fat full sound, with a bit of a dark touch, which is 100% perfect for the rock genre as well. Apart from this, the pair of TB Plus Bass Humbuckers assists you in achieving the sound of your dreams. In case you want to opt for slow, romantic songs, there is a master tone knob. It mellows the sound and gives it a warm, soft quality. All in all, this guitar has excellent action, looks, and tone. Plus, the black satin finish gives it a dark demeanor. If you are a person who loves Death Metal or Gothic Metal genre, this guitar is especially for you. It can deeply move you and others through the dark quality of its sound. Don’t think that it is only for producing dark, booming sound. That is just an additional feature that makes it stand out in the crowd, as most other guitars don’t possess this depth in their tones. Realistically, it is perfect for all players. We know some people claim it isn’t ideal for Jazz or Rock, but that is not true. We have witnessed its tones and playability in real life. Its sounds are rich, thick, round, and full; it plays smoothly and complements all genres. What Is The Best Price For The Thunderbird IV Online? 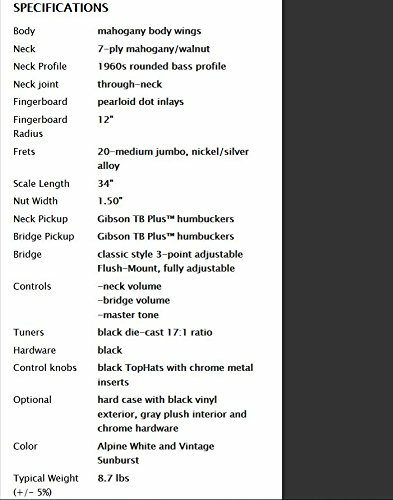 What Is The Best Bass Guitar Under 400 Dollars?